LA-based visual effects studio JAMM brings a freaky fantastical and grotesquely beautiful vision to life for Die Antwoord feat. 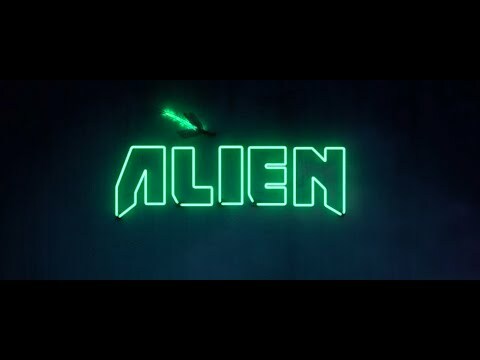 The Black Goat’s “Alien.” Directed by Die Antwoord’s Ninja, the story he conceived with band-mate Yolandi Visser shows the South African rave-rap group continuing to push the boundaries of what a music video can be. JAMM was introduced to Ninja through editor Leo Scott, and after meeting, it was quickly apparent the two parties would be creatively compatible. For “Alien,” Ninja wanted to capture the sense of otherness Die Antwoord felt when they came to the United States, in their own subversive, visually nightmarish way. The goal for the VFX was to create something never-before-seen yet authentic-feeling, a creature transformation which could exist within the pages of National Geographic. “We’re used to doing complex creature work … the cocoon was a new type of challenge,” says CG Artist Zak DiMaria. “It was important to Ninja that the cocoon looked very real, but also unlike anything people had seen before. We based the material of the cocoon on different molds and fungi to ground it in reality. Then we simulated it and allowed it to evolve and grow on its own into a very detailed and beautiful structure.” DiMaria led the JAMM team through the cocoon FX simulation, the most challenging aspect of the VFX process. References from the natural world – moths, plants, coral and growing mushrooms – were interpreted to create the cocoon-like formation. JAMM made a custom digital mold that could evolve, with thin threads of webbing that would grow down the contour of her body. As the webbing grows, there is a physicality to it that grows denser and denser. Additionally, JAMM created the CG opening titles featuring the neon-lit insect encircling the Die Antwoord logo and song title. The sequence sets the mood for the entire film, a bizarre visual feast enhanced by JAMM’s attention to detail, from the creation of the centipede’s glowing internal organs to the delicate webbing of the cocoon.